My discount code wasn’t applied to my order? If you entered a viable code at purchase and it wasn’t applied to your order send us a message via our contact page and note the discount code you used. If it’s an active discount we’ll gladly credit the appropriate amount back onto your card. You don't offer my size? If you don't see your size, please send us an message via our contact page. We'll be glad to try and accommodate you. We currently accept all major credit cards, which are processed through Stripe to ensure your information is secure. Simply follow the checkout steps on our site as you would for any other web order. You should typically receive your order within 7-10 business days. We want you to be completely satisfied with your purchase. However, since we try to turnaround your order in a timely manner, it might be difficult to catch the changes before your items are shipped. If you have a change, please contact us via our contact page, and we’ll see if we can help. If your order has already shipped, we’ll send you instructions on how to return it. A small amount of shrinkage on items containing cotton is to be expected. However, following the wash instructions on the garment tag will prevent most shrinkage. 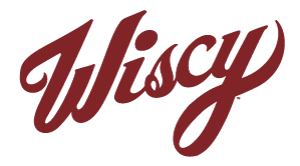 We want to make sure you are completely satisfied with your Wiscy purchase, so you may return or exchange unworn and unwashed (no exceptions) items within 15 days of the date of purchase. If you need to return an order, simply contact us via our contact page and we'll send you instructions for doing so. Please include your order number—found on your packing slip, or in the order confirmation email received when the order was placed. Return shipping charges are the responsibility of the customer, unless the return is due to a defective item or shipping error by Wiscy.